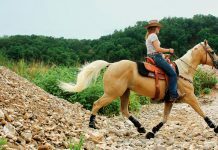 Home Riding and Training Trail Riding What is an Easement? The loss of land for public use directly affects equestrians when farmland once used to grow hay and raise horses is sold for residential subdivision development. 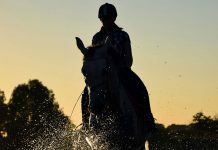 But private land transfers also impact equestrians in other ways, says Charlotte Harris, director of the North Salem Bridle Trails Association (NSBT), a New York state organization that maintains and develops a network of local public bridle trails. The group also works with other local land conservation organizations that acquire and preserve open land in the area. 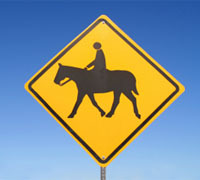 According to Harris, equestrians can lose trail access when horse-friendly landowners sell their properties to others who later deny riders the right to cross their property lines in order to access public trails. Conservation easements allow landowners to voluntarily limit the type and scope of development on all or part of their property without losing ownership of the property included in the easement. In most cases, the easements remain in place even when the property connected with it changes hands. 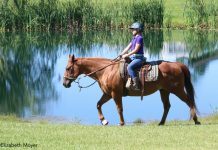 Such easements are especially helpful to riders where trail systems are separated by privately held lands because they allow equestrians to enter private properties without trespassing. However, landowners may benefit as well. Under federal law, qualifying landowners may receive income tax deductions if they establish conservation easements on their properties. This article originally appeared in the August 2011 issue of Horse Illustrated. Click here to subscribe.